Alexa Scimeca and Christopher Knierim became the first U.S. pairs team to perform a quad twist at the 2015 U.S. National Figure Skating Championships. Alexa Scimeca and Christopher Knierim, who teamed up less than three years ago, captured their first national title on Saturday at the 2015 U.S. Figure Skating Championships in Greensboro, NC. The road wasn’t an easy one. Knierim broke his fibula during practice in July 2013 and then had surgery just this past March to remove a plate and screws in his leg that was causing discomfort. Time was their enemy last season as it prevented them from progressing as they did their first season together. Over the summer, the team, coached by Dalilah Sappenfield and Larry Ibarra, hunkered down and began increasing their lift and twist difficulty. This season, the team’s goals are to improve their power on the ice and unison throughout their programs. The 2014 Four Continents bronze medalists opened their international season with the 2014 U.S. International Classic and Nebelhorn Trophy, where they placed first and third, respectively. Afterwards, they took fourth place in both their Grand Prix events at Skate America and Trophée Éric Bompard. In Greensboro, Scimeca and Knierim skate a flawless short program to “El Tango de Roxanne,” which featured a strong triple twist, as well as solid side-by-side triple Salchows and a throw triple flip. The team also earned a level four on all other elements, earning a score of 74.01. While the team was happy the five-point lead going into the long, they acknowledged that their next skate had to be just as spectacular. As a team, both skaters love to perform programs with a charismatic feel, however, Knierim prefers the short program. The skaters, who were engaged in April, have a playful and fun off-ice relationship and felt that their long program to music from An American in Paris program would let fans see them in a different light. Last season, some may have felt that Knierim appeared aloof during performances. Aside from a single Axel in a double Axel-double Axel sequence, the 2014 Nebelhorn bronze medalists laid down a solid long which was highlighted by a quadruple twist that garnered positive grades of execution (GOE) across the board. It was the first time a U.S. pairs team had performed the element in competition. Their side-by-side triple Salchows were also solid, as was their throw triple loop and flip. The only other flaw was a slight slip during a dismount in their final lift. “I got really excited in the end and almost fell,” Scimeca explained with a chuckle. They scored 136.48 points, and with a total of 210.49, took the title with over 10 points to spare. While the quad twist is “more for the future than for nationals,” the team had planned to do the element regardless of how their short program went. And make it they did. The team will compete at both events later this season, alongside Haven Denney/Brandon Frazier and Tarah Kayne/Daniel O’Shea (Four Continents). 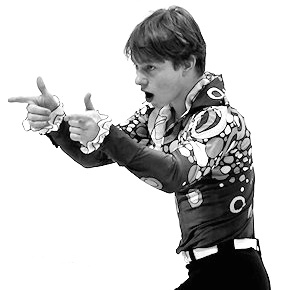 Alexander Majorov is the first skater from Sweden to medal at the ISU World Junior Figure Skating Championships (bronze in 2011) and the first Swedish figure skater to medal at an ISU Championships since Vivi-Anne Hulten won the bronze at the World Championships in 1937. More on Alexander Majorov here in the GS Forum.